Courage – Fear – Pain – Strength – all the words used in the trailer to describe this film based on a true story. 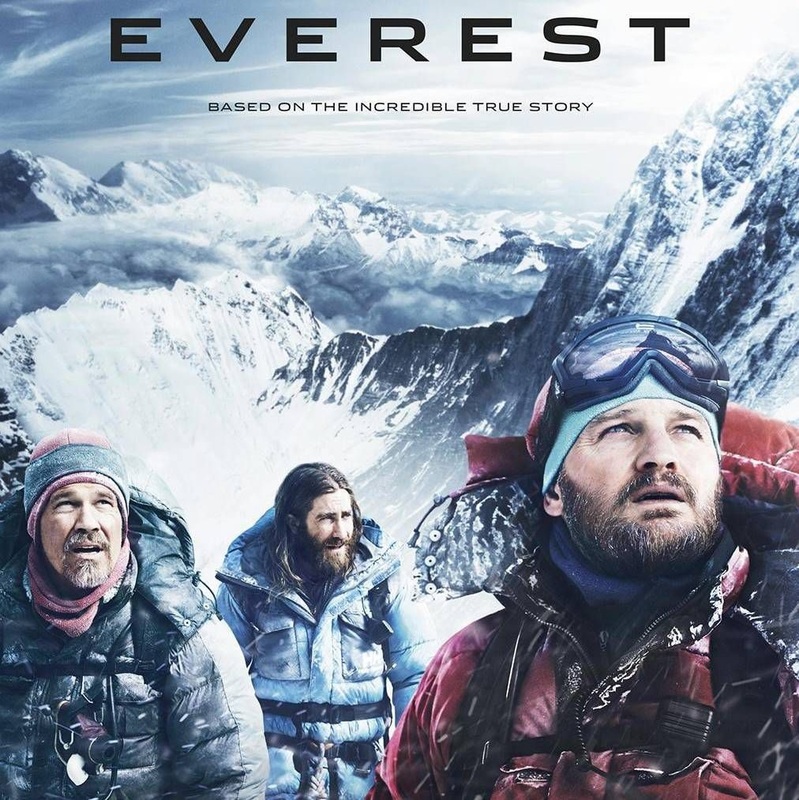 Though after watching this movie I can’t help but think they might have skipped a word – Insanity – because truly one must have a bit of this to even attempt to climb this mountain. To know going in that there is a 60/40 percent chance you might not come down..would and does deter most. Having reached the summit and literally touched the peak — their moment of triumph – though problematic as issues with roping and lateness of the afternoon make the timetable of descent turn into a dire situation. A storm sweeps in before certain climbers have turned back. What follows is a brutal waiting game. Among those stranded in the inhospitable climate is Hansen, Harris & Hall – who finds himself curled up in a nook, patiently, almost inhumanly biding his time as numerous attempts to save him come and pass him by due to more storms. Having years ago read Jon Krakauer’s book “Into Thin Air” I hadn’t realized this was going to be that story told so vividly so I recommend you go in with little knowledge of the body count as Everest plays a bit in the vein of Apollo 13, as you know the story history wise – but in this one there’s only a slim chance the ones in trouble will make it. 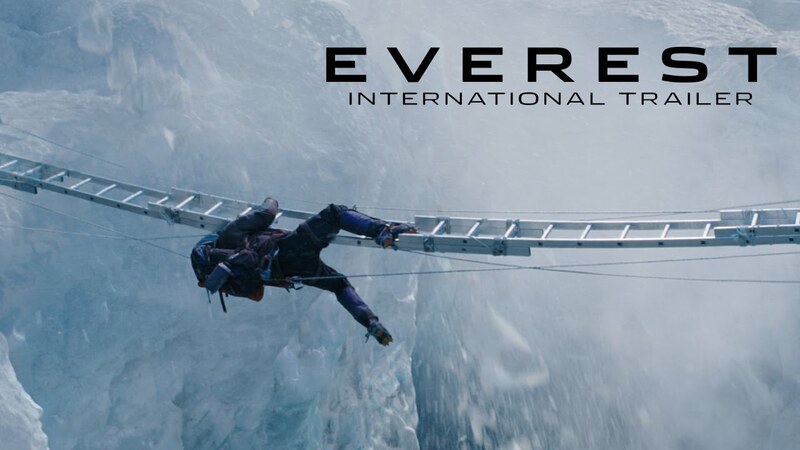 The film truly focuses on the brutality of this type of climbing and what we now know was the beginnings of what the business end of this all is. All these climbs-for-hire have literally created a trash bin of Everest as what goes up, doesn’t always come down. And of course the body count of those left up on the mountain has also increased exponentially since this first tragic event. And let’s not ever forget all the sherpas with whom without them, most of these climbs could never be done. So what’s good about this movie? The 3-D is very good. Throughout most of the film you can’t discern between what is the real on-location shots and what is sound-staged. Brolin & Clarke really have the lead acting roles here and both do well. Sam Worthington also comes on well more towards the end as Guy Cotter. Overall it will prove to be a rough watch with it’s ending for some, but it’s a good film nonetheless. My picks for these awards are just that..MY PICKS! 😀 This is my favourite award show as it’s both Film & TV..I mean how can you go wrong with the best of both genres drinking it up at one awards show with Tina Fey & Amy Pohler hosting. Well the answer is you can’t. 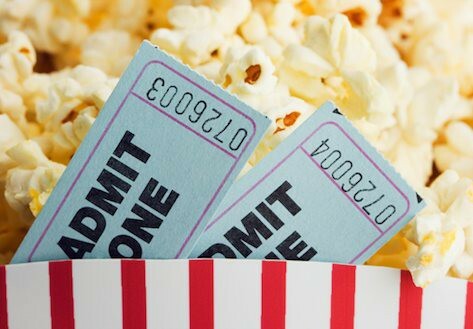 I’ve seen almost all the films presented this year, even the foreign ones – though yes, I’ve missed a few as there is only so much one human-being can do! ha! You might agree or even better, you might dis-agree ~ it’s all good. I will warn you, I did pretty well last year with my picks and this year I think I’m going to do even better. So with that..I give you #peggyatthemovies 2014 Golden Globe picks! Cheers! I loved the premise of this movie.. the movie itself was good..but not great for me. I will say I was glad I went into this film not knowing to much about it. Performances were very good, but still not my pick here. I loved everything about this movie. The story is so good~the much speculated and talked about inaccuracies and all. The acting even better, and alas it was the only movie to make me cry..both times I saw it. Like it as it’s quite a powerful film with all it’s much talked about inaccuracies also…just didn’t love it. Really like the film..second viewing the other night was even better.. performance by both actors, especially Eddie Redmayne, is what awards are made for. Still not my top choice for best picture though. From the 1st viewing to my 3rd viewing.. BRILLIANT!! I enjoyed this movie as it was tons of fun and entertaining..though I might not think it’s best picture material, others might. Will admit to not having seen it yet..as it just wasn’t on the top of my to-see list. I will eventually get to it though. This movie never came to a theatre near me as far as I know as it was on my list..if it did, it was in and out so fast I missed it. Too bad because it seems as it would be right up my alley. This was a fun, sweet film.. I mean how can you not like Bill Murray..and the kid was great..but still not a top film for moi. Wes Anderson has done some good films that I’ve really liked..and I did like this a lot, just not enough for it to be my pick in this category. Good film..love the fact that a woman director got nominated and it was great hearing her speak about the film trials & tribulations after the screening, but alas, it’s not my pick. I mean who doesn’t love David Fincher..He;s done some brilliant stuff..and I liked this film a lot as it had a good creep/twisty factor but it’s not an award winner. But there is only one “Birdman” and this film was stunning with it’s long one-shots and imagination. I loved loved loved it…all 3 times to be exact. Yes, I was stunned as I watched this film unfold as to the idea of it all..and that idea was Richard Linklater’s – but I just didn’t like the movie enough to make it my #1 .. though if Alejandro doesn’t win, he would be my 2nd choice based on just the fact it was done over a 12yr time period..that’s a huge commitment and undertaking. I wish I could say I’ve seen this film/performance as a lot of people are raving about it. But I blinked and missed it for the 1 week it was in like 2 theatres here. Loved the film, loved the performance especially for her 1st major leading role and she was wonderful..my 2nd choice for sure. Can we not just give Julianne the damn award already??!!! She needs to finally win it for a lead role in a film dammit!! Yeah..everyone said I would be ‘WOWED’ by this film & her performance..I wasn’t. It was good..not great. Funny-man turned oh-so-serious and pulled it off..pretty well I might add. 2014 was definitely the year of the Brits. This performance is outstanding..it really is..but it’s also my 2nd choice. I know..I know..ALREADY! Jake pulled off creepy-shitshow reporter here.. but he didn’t come close to my 2 top picks performance wise. Good performance..fair movie..but like Jake, just didn’t come close to the top 2. 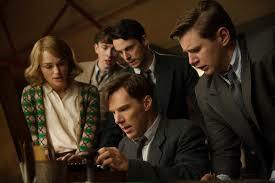 Yes, I am giving my pick to Eddie Redmayne here..why..because simply put he was BRILLIANT BEYOND BELIEF. He embodied Stephen Hawking in every way, shape, form & speech. This performance is why awards are given. period. Really good performance.. was it the ‘gold standard’ of American Hustle that I loved..no..but then neither was the film and sadly the actress roles were seriously lacking this year across the board. She was however good enough to win this. I’ve come to like Emily Blunt more & more..she was great as an action star with Tom Cruise in ‘Edge of Tomorrow’ pulling this off is harder. Didn’t see this film..again, I’ve read the movie itself is mediocre but how can you not love Helen Mirren is just about anything. Again, blinked and missed this one, but I hear Julianne did a bang-up job. Let’s face it..we know the genre was lacking contenders so this is a ‘fill up the category’ nomination. I’m a fan of this film and of the performance, as it was fun. But it’s not a win. Let’s face it..we ALL love a really good comeback. And Michael Keaton gives it to us lock, stock and barrel in this film. He’s a fantastic actor who deserves this big time. I j’adore Bill Murray. From ‘Caddyshack’ to ‘Groundhog Day’ to this film. How can you not? But it just wasn’t a better performance than my pick for winner. Good performance and while some thought it over the top..I was lucky enough to see a screening with a Q & A afterwards with cast/director where they noted it was actually toned it down. I liked it, not enough for a win though. The part I loved most about this was when I finally realized that they were doing this over a 12yr period and having a giggle over ‘hey, that’s when she was doing “Medium” hair-style etc. She probably did the best work of her career here and stands a good chance of winning. Jessica just went against type here and really came out strong in this performance for me. Very different style & film. 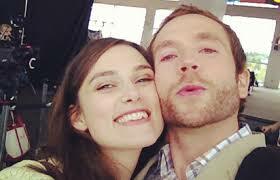 For once Keira Knightley did not annoy the bejesus out of me..She was actually decent in this role. 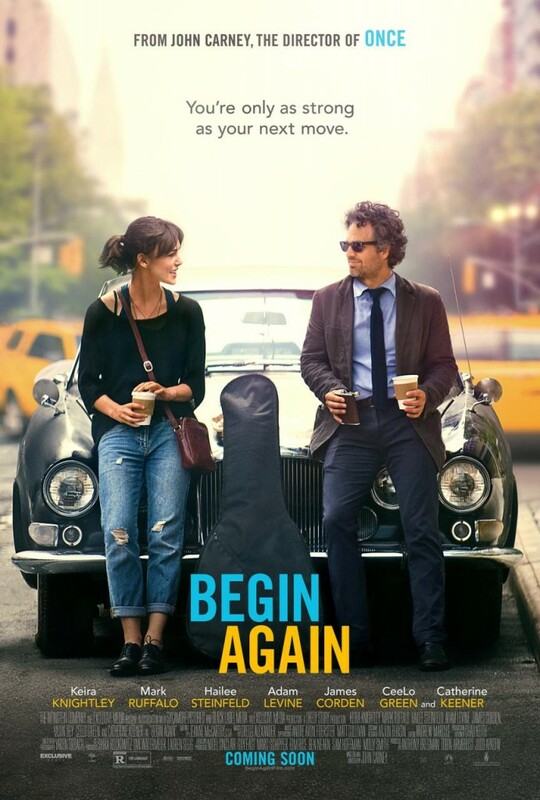 Though she also did ‘Begin Again’ – where she was annoying and probably one of the 5 worst movies of the year ‘Laggies’ – so she can not not not possibly deserve this award. Was one of my top 3 films of the year, but definitely not a favourite performance here. It grew on me a bit more by the 3rd viewing, but still, nope. It’s Meryl. What else is there to say? she’s always good. This was a fairly good movie, and a nice performance. Though sweetly done, not a winner for me. I remember when the screening started and I thought “how does Ethan look so damn young here” and it took me a good hour to finally realize what they did here. I’ve always liked Ethan, through the good and the bad..this was part of the good. 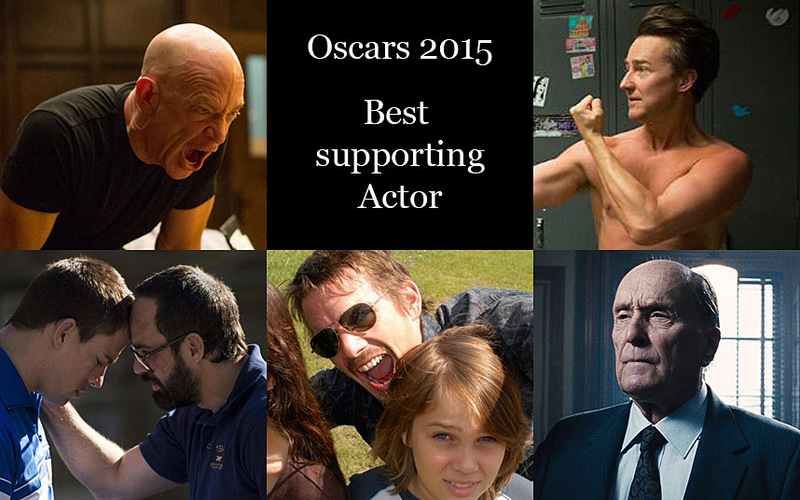 I’m so torn here as until I saw Whiplash, he had my vote. hands down. but now, uuuggghhh torn, torn, torn! But he’s my 2nd choice, and it actually hurts to say that. 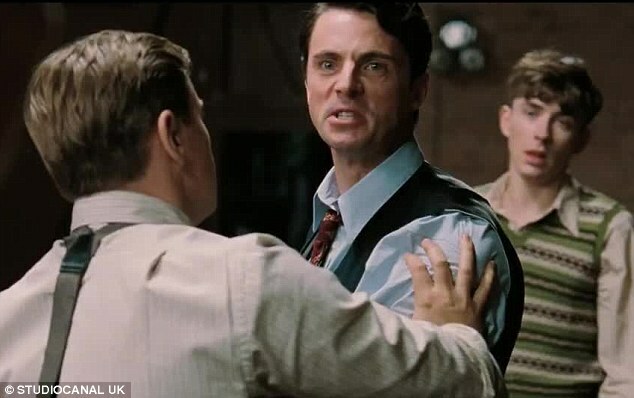 I thought Ruffalo was out of place in this film. He’s playing someone who is clearly supposed to be so much younger and it didn’t come off for me. I know a lot of people loved him in it. He was just okay for me. Damn this movie was good. Even better the 2nd time with a full screening and J.K. & Dir:Damien Chazelle speaking afterwards to fill it all in. I’ve been a J.K.Simmons fan since “OZ” and he blows you away in this film. He so deserves this award for everything he’s done in his career that has been so good, but most of all for bringing this character to life like no other. I was way behind on my foreign films because they were all screening at the same times and their English counterparts and I could only do so much. That being said, I saw this the other day..really good film..loved it. Caught this film this week, and while I know it’s the fav. I found my pick to be all-around better film. This was an okay-good film. I know sometimes maybe a bit gets lost in translation, and while I thought visually it was beautiful, it story was scattered and lost. Was not able to see it. 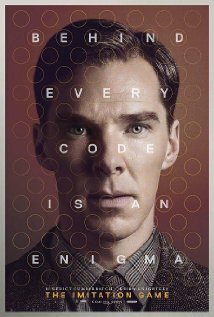 Note: “The Imitation Game” release date in the U.S. is November 28th, 2014 ~ this review contains no spoilers as the movie is based on historical fact already known. 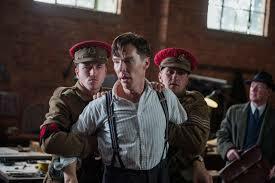 Do you know who Alan Turing is? I’m going to guess not. After you watch this movie you will most likely be saddened by this fact as I know I was. 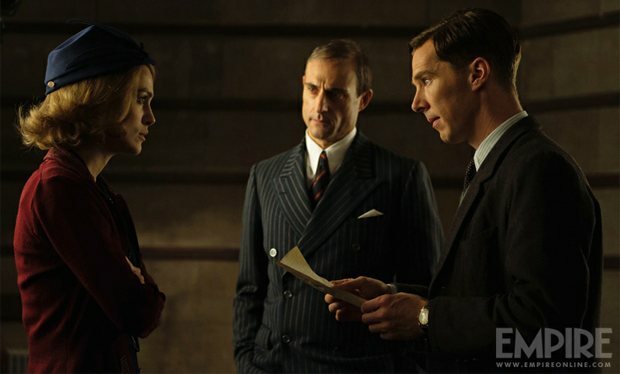 Alan Turing (Benedict Cumberbatch) was a master mathematician who finds himself plunged into the secret code-breaking underbelly world of Bletchley Circle in World War II when he’s hired by the British government – along with a team of code breakers – to crack Nazi Germany’s supposedly impenetrable Enigma code and end the war. He makes no friends in his inner circle all throughout his life, but not due to the fact that he doesn’t want them, he is one of those people who are of such true genius they never really learned how to be socially adept. Turing wrestles with a multitude of impediments – shyness, homosexuality (which at the time was illegal) and the overriding pressure of heading up such a mammoth venture would be daunting for anyone trying to stay true to his heart and his extraordinary skill along the way. Not only was Turing unconventional, but his methods were as well. His deterrents included Naval High “Commander Denniston” (Charles Dance) who tries to shut him down more than once, and in the beginning, most of his team, the somewhat caddish “Hugh Alexander”(Matthew Goode), Keira Knightley as “Joan Clarke”, who becomes Turing’s main confidant and for a moment in time, his fiance, the spy amongst them, “John Cairncross” (Allen Leech) and “Peter Hilton” (Matthew Beard) who’s heartbreaking moment occurs when he realizes even though they have broken the code, they most likely can’t save his brother serving on a naval ship due to the nature of the beast that is war and the secret games that must still be played to ensure the safety of millions rather than just one. Mark Strong comes in as MI6 specialist “Stewart Menzies” another small but brilliant turn here as he is probably the only one that has Turing’s back during all this..well him and the man who lives at 10 Downing Street at the time, Winston Churchill that is. 😀 I would also be remiss in not mentioning Rory Kinnear as “Nock” the police detective who is really at the root of Turings out-ing so to speak as he, along with “Sergeant Staehl” (Tom Goodman-Hill) & “Supt. Smith” (Steven Waddington) are the ‘bobbies’ who dig into Turings past after a reported robbery at his home. Even though once Nock interrogates Turing and finds out his whole story, he is reluctant to move forward, the damage has already been done. The story behind this film is just as harrowing as the one being solved. Here is a man who should have been touted as a worldwide hero in history books everywhere, who’s face should probably be on some type of pound currency, yet we’ve never heard of him as he was persecuted by his own nation for being homosexual and made to either undergo chemical castration or serve 2 years in prison because of this fact. 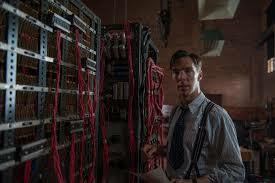 Think of all the people in the city you live in ~ as it might not have existed if not for Alan Turing. Here is a man who saved 14 MILLION lives, yet killed himself due to the fact he was shunned by his own country instead of celebrated just because of who he was sexually. And yes, he was the inventor of what was for years referred to as the ‘Turing Machine’ yes ladies and gentlemen..what we now call ‘computers’. Finally in 2013 this was changed by Queen Elizabeth and rightfully so because it’s the true shame of a nation to deny this man his rightful place in it. This film is a tour de force for me, not only because of it’s place in history, but because of the man himself. I believe this powerful film will stay with me for some time to come and I can only hope it does the same for anyone who sees it. It even more elevated by strong performances across the board of not only Cumberbatch, who is definitely in the performance of his career so far, but his strong supporting cast as even Knightly, who usually dismal performances can break up the direction of a film, carries on well. 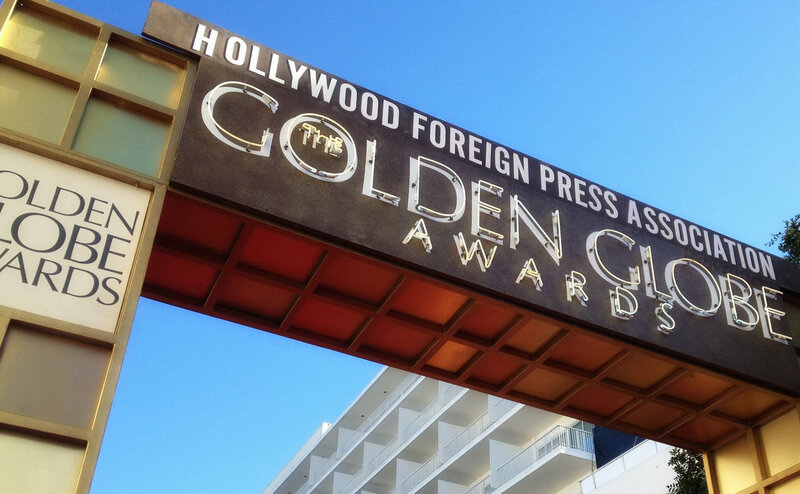 Come Oscar time I’m betting on the fact we will see some nominations here of not only film, but performances as well. There have been some very bad movies released this year and this doozie is definitely one of the worst. I almost didn’t even want to write a review as I feel like I’m wasting as much of my time on it that they made me waste watching it and that was enough, so expect this to be very short and simple, to the point. Keira Knightly in ANOTHER really awful performance, her 2nd of the year so far btw in a bad American accent again no less, is “Megan” an 20-something who is the sign-spinner (yes, you read that right..the person in front of a business who spins the sign for people to come in) for her father “Ed” (Jeff Garlin) accounting office and seems to be in the throes of a quarter-life crisis..yes really..if there is such a thing. She’s got a degree, lives with her boyfriend, “Anthony” (Mark Webber) who it weirdly seems as though she barely likes him and he seems to unquestionably just support her financially etc., without a problem and yet she just floats around aimlessly while all her friends like “Allison” (Elle Kemper) progress in front of her with their lives. That is of course until she meets high-school student “Annika” (Chloe Grace Moretz) and her group of friends, “Misty” (Kaitlyn Dever), “Junior” (Daniel Zovatto), and “Patrick” (Dylan Arnold) and buys them beer and they become besties.. yep..they do. 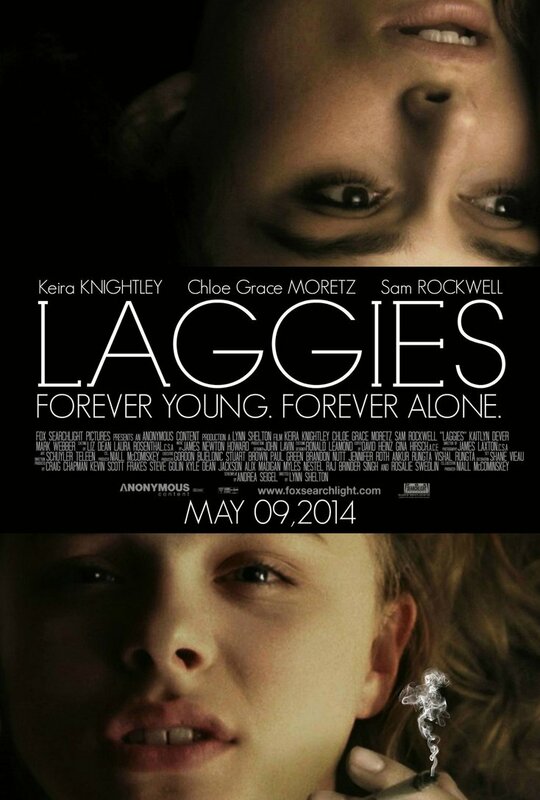 In fact, in order to ‘get away from it all’, Megan begins to hang out with this group of high-school students and proceeds to stay at Annika’s house until her divorced dad, “Craig” (Sam Rockwell) wonders, as all of us do, why is this woman staying in my house with my high-school aged child and saying they are friends like this is normal behaviour.. Let’s just say this movie is painful and not even Sam Rockwell can save it when he hooks up with Megan which of course unless you’re very impaired you know is going to happen from the moment Megan steps into their house. Along with the absolute just inane – trying so hard to be quirky – plot of all this is the fact that Megan not only goes to a high-school party without any qualms or awkward feeling of anyone asking her WTF she is even doing there..she just fits right in..but wait for it…as yes..she goes to the prom too!!! At this point in the movie, I’m not sure how I had stayed so long without screaming or pulling my hair out in exasperation over how horrifically bad this movie is.. I guess because it was a screening and I always feel guilty if I leave early..and yes, thankfully I didn’t pay any money to see this farce, as then I would have been really PISSED!!! So to sum it up in case you haven’t guessed already, this is one bad movie. It’s kinda weird that a person in their 20’s would even want to hang out with high school kids..I don’t know anyone who ever did..and it’s not funny, there is no chemistry between any of the characters or any depth to any of them and it ends just as lamely as it started.